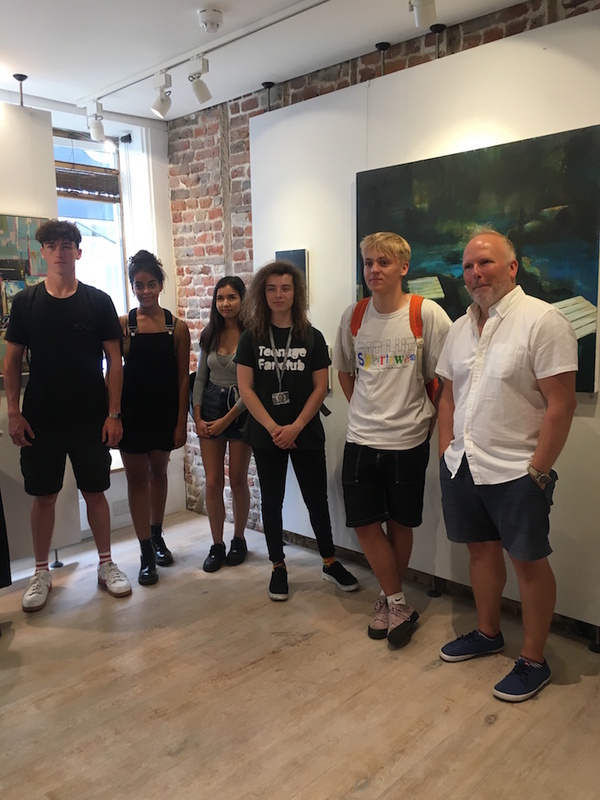 Meet the artists event, Saturday 14 July 12 noon. 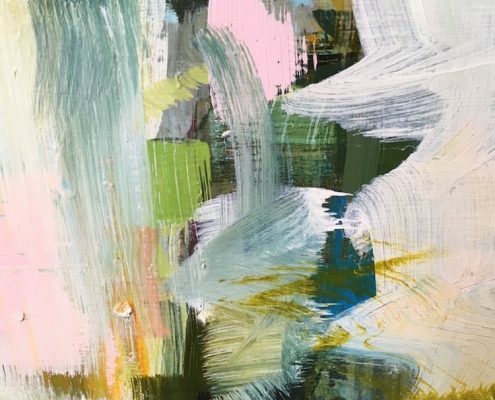 Field Notes brings together two painters, Paul Smith and Katharine Le Hardy in an exhibition documenting new landscapes to produce a radical vision of what we consider nature in the age of the Anthropocene. In their very different ways, Smith and Le Hardy tear up their source materials of photographic documentary and encounter with landscape to produce a radical vision of habitats under the pressure of human presence. 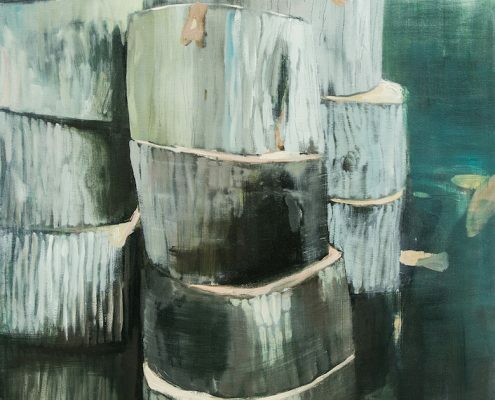 In this new age of the Anthropocene, these two painters mediate lost and repurposed human structures entwined with vegetal life. Old plastic piping creeping through allotment grounds, the soft decay of old wooden buildings on the boundaries of cities: through scratch, fleck, flake and drip, Smith and Le Hardy’s works remind us that what we consider ‘nature’ has always been framed through the aesthetic, and that a new discourse of paint can help us to see the strange luminosity of a world in which the human is an always-tangible presence in the natural world. Smith is based in South West London. After initially specialising in photography at UCA, Farnham College of Art, he turned to studio practice as a painter in 2009. 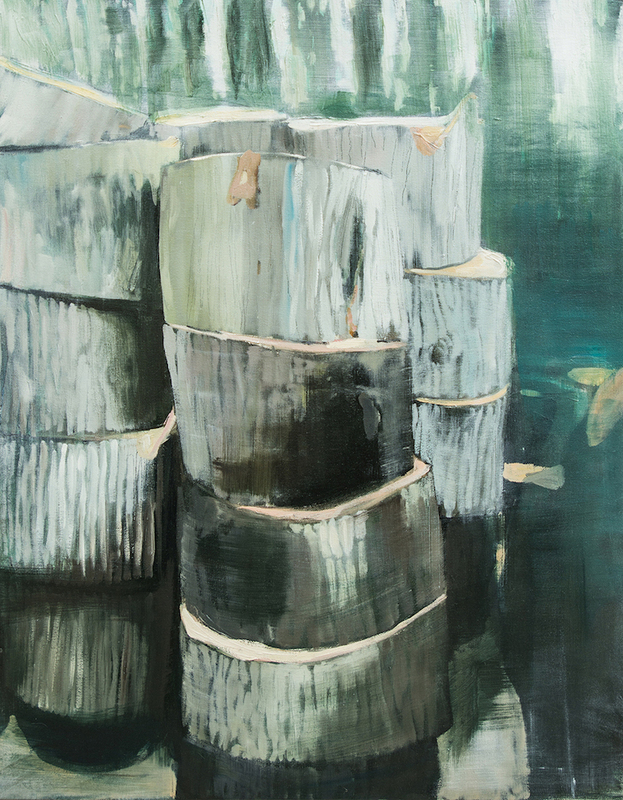 His current body of work, ‘Under Cultivation’, builds on his documentary training in a series that explores the repurposing of man-made materials in allotments and edgelands. The distance between photograph and painting is one means by which Smith denotes his own transformation of these peripheral sites. 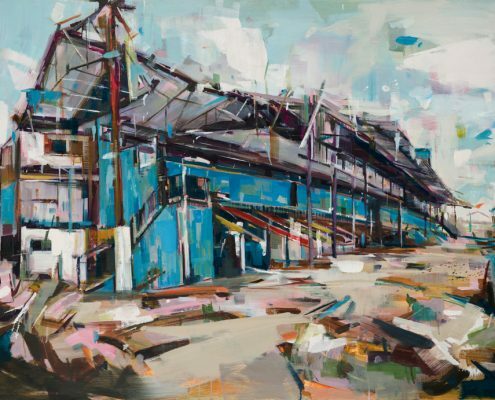 The blue or yellow yelps of old plastic sacking, the rusting white of forlorn gazebos, the granular smears of concrete slabs emerge in his paintings as objects of restrained meditation. The painterly elevation of these cast-offs questions established notions of picturesque nature: surrounding aboreal life is scraped back to the thinnest blur, as if a bloom of pthalo algae, whereas c­­­rumpled polytunnels demand to be taken seriously as an echo of the alpine sublime. 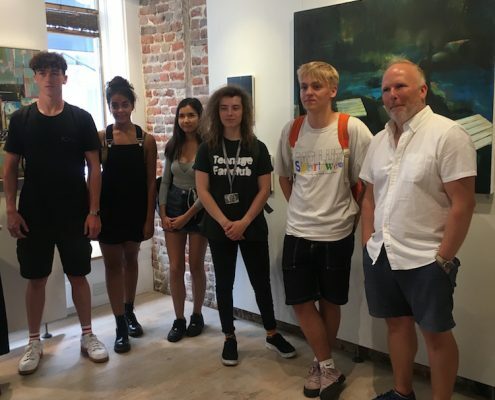 Paul has exhibited widely in the UK and was recently part of the touring Contemporary British Painting Prize and in late 2017 Don’t Walk Walk Gallery of Deal hosted his solo show ‘This is This’. 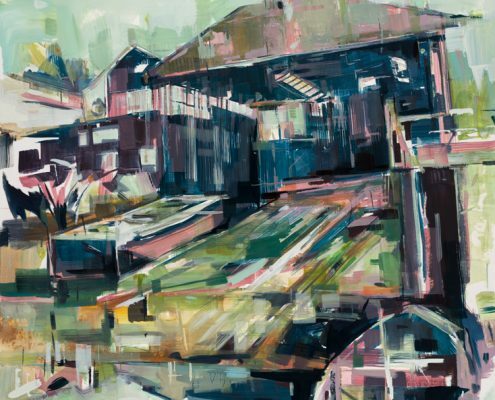 Other notable exhibitions include The ING Discerning Eye (2017, 2016), Griffin Art Prize (2015), Neo Art Prize (2015) and solo shows ‘Noise Rings’ at Farnham Maltings (2016) and ‘The Ice House’ at Northampton’s The Sanctuary Gallery (2014). 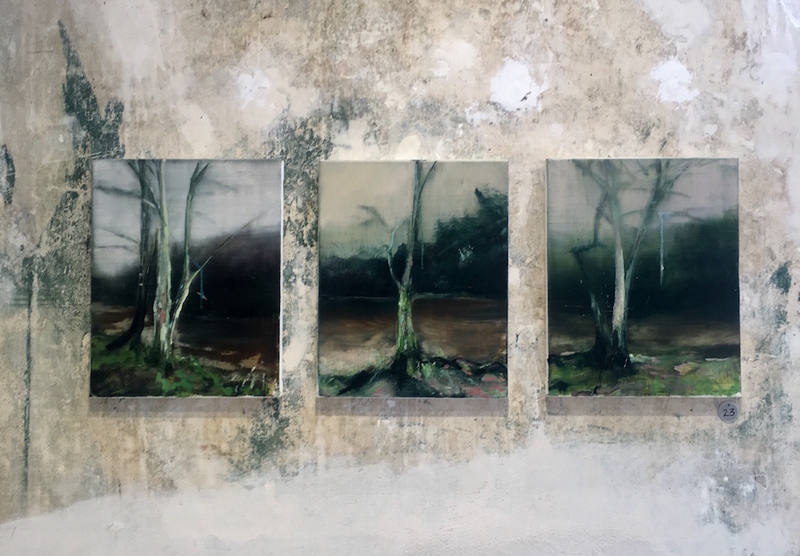 Avoiding picture postcard moments, Katharine is drawn to structures, often abandoned and decaying, depicting how they inhabit the landscape around them. 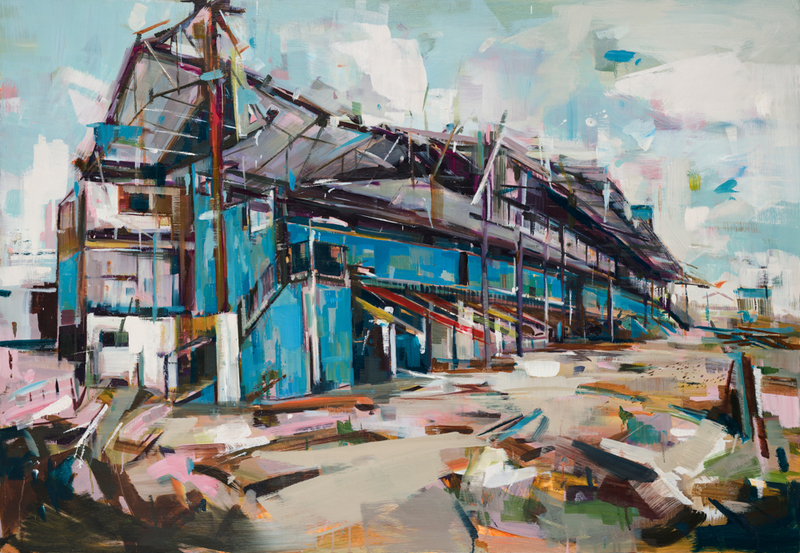 Working from memory and photographic references, the process of applying layers of paint, scraping back, obliteration, allows the painting to take its own fluid course giving it a life of its own. 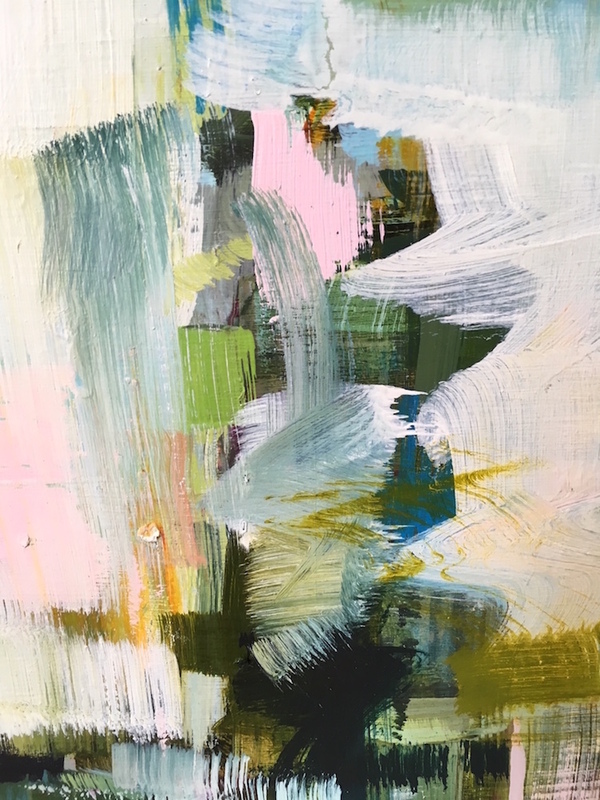 Although firmly rooted in representation Katharine’s work embodies an abstract drama which points beyond visual representation and towards the essence of her subject matter. 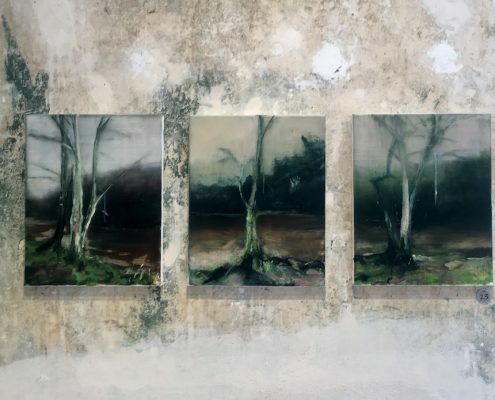 Since graduating in Fine Art from the University of the West of England in 2003 Katharine has painted full time since being offered her first solo show in 2005. 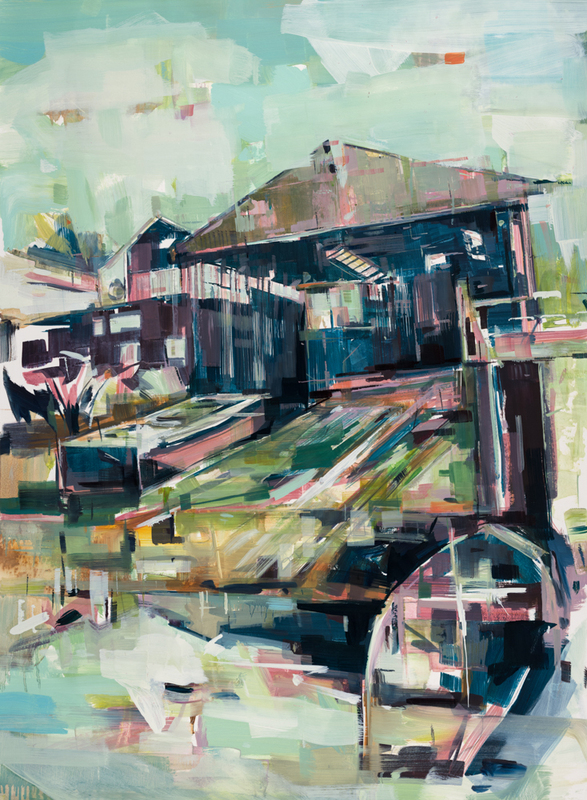 She has exhibited extensively within the UK with recent solo exhibitions at Northcote Gallery (London), Zimmer Stewart Gallery (Arundel) and Updown Gallery (Kent).